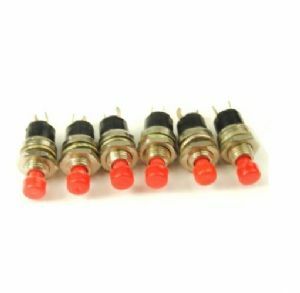 6 x RED Mini Latch Switches Momentary non locking . Choose from the drop down menu for the type of switch you need, either push to make or push to open. 6 x red push button switches. 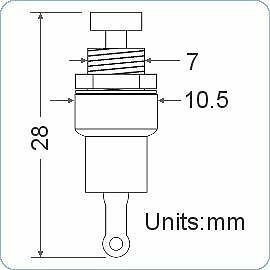 Overall dimensions: 28mm long, 10.mm diameter. Connections solder tag, it is suggested not to exceed 300°C and also not to heat the terminations for longer than 3 seconds. Check out our other listings for hard to find tools switches and other related products.